Dr. Heath Trowell is Board Certified in Family Medicine and an experienced Emergency Medicine Physician. Having a firm grasp on a variety of practice scenarios, he is highly skilled in assessing and treating acute and chronic medical problems with many modalities. Dr. Heath is very passionate about treating patients from a holistic approach and using medication only when truly needed. Our practice mantra is that we are “The Practice that CARES for You…Inside and Out!” In addition to our cosmetic procedures that we perform, we take pride in listening and coaching patients through health and life challenges. Dr. Heath has always found spending time with his patients and their families to be the most rewarding. He has learned that, in order to deliver the best care, doctors must take the time to hear their patients’ full stories. He also understands the importance of clearly, and in layman’s terms, teaching patients about their medical conditions and empowering them to take an active role in their care. It is for this reason that he and Dr. Ashley decided to reopen a private practice with this greater vision…Governors MedSpa and Concierge Medicine. Dr. Heath and Dr. Ashley want to practice medicine in an environment where they are not rushed and can get to know their patients and their families on a personal level. Dr. Heath Trowell is a graduate of the University of Florida with a BSBA in Finance and Insurance with Honors. He continued at University of Florida and received a Master’s Degree in International Business with a concentration in International Finance with Honors. After working for a management consulting firm in Chicago for a little over a year, he quickly realized his passion was still to become a physician. He received his medical degree from American University of the Caribbean in St Maarten, NA, where he also received a Masters of Medical Science degree. After medical school, Dr. Heath spent his intern year at Columbus Regional Medical Center in Columbus, GA. The next two years he finished his residency in Family Medicine at University of Tennessee Medical Center in Knoxville, TN. Dr. Heath is very fitness oriented and enjoys many modalities of exercise including yoga, indoor cycling, running, swimming and High Intensity Training(HIT). Many often describe him as having fitness ADD. He also enjoys spending time with his wife and his two beautiful boys…that are often at some sports field or court. Dr. Ashley Trowell is Board Certified in Family Medicine in addition to being a loving wife and mother to her husband, Dr. Heath Trowell and their two sons, Kaleb and Kohen. Dr. Ashley Trowell is a native of Acworth / Marietta, as she graduated from McEachern High School where she cheered on the Indians. She then traded in her blue and yellow poms poms for black and red danceteam tassels as she obtained a Bachelors in biology from the University of Georgia. While attending UGA, Dr. Ashley enjoyed cheering on “the Dawgs” every football season as well as dancing competitively for the basketball and football team. During her time at UGA, she found herself drawn to medicine and had several volunteer positions working with local community health departments, as well as hospitals in the local Athens area. During her last year of college, Dr. Ashley landed a job working for a dermatologist that was dabbling in new injectables for anti-aging and skin rejuvenation which sparked her interest in this aspect of healthcare. After graduating from UGA, she went on to attend the American University of the Caribbean. This is where the Georgia Bulldog, Dr Ashley, met and married a Florida Gator, Dr. Heath Trowell. Being so far from home, life in the Caribbean was difficult at times, but this medical school allowed Dr. Ashley to have the ability to participate in more dissections. Dr. Ashley also traveled to Europe to compete and win a medical student research / dissection opportunity based on a paper she wrote regarding the buccal fat pad. Her paper was published in several medical journals and plays a large role in how we train on new injectables today! Both doctors completed their training in high volume, competitive hospitals in both Los Angeles and New York City. After completing medical school, Dr. Ashley and her husband wanted to return to their southern roots and start a family. They both completed a Transitional Year Residency Program at Columbus Medical Center and their Family Medicine Residency Program at University of Tennessee Medical Center Knoxville. Dr. Ashley will be joining her husband in opening their dual practice: Governors MedSpa and Concierge Medicine. Dr. Ashley’s background in aesthetics dating back to her college days combined with her extensive research and dissections has led her to this point in her life where she can now branch out and offer the newest anti-aging techniques to the men and women of Metro Atlanta. She wants to bring the “small town” feel of doctoring back to Acworth through concierge medicine where she can offer a more personalized and higher quality care. This is how our new slogan was born, “The practice that cares for you inside and out.” Dr. Ashley is excited to start her new practice and continue decreasing the clock internally by increasing patients life expectancy through preventative care and also turn back the clock externally and continue to aide in the Acworth community in looking and feeling younger. Upon completion of residency, they quickly returned near Dr. Ashley’s hometown to Acworth, where she spent every summer at Lake Allatoona with her family skiing, fishing, and swimming. Here is where they have grown roots for their family and their practice, as they established and operated a family medicine practice in 2009. The practice was a success and quickly grew to over 6,000 patients. Dr. Ashley and her husband decided with such a busy practice, in addition to two young children and aging parents, to accept an offer from a larger health system to alleviate the stressors of owning and managing the practice. The two years of being an employee physician allowed Dr. Ashley to improve her tennis game, travel, and spend more time with her family and friends. However, both Dr. Ashley and her husband quickly realized they missed the autonomy of being their own practice administrator and patient advocate, and decided to take their medical practice back into their own hands. Jason Pero D.C. is board certified chiropractic physician in South Carolina and Georgia. Dr. Jason specializes in sports and family interventions for natural healing and injury solutions. After receiving his Bachelors in Physiology from Michigan State he attended Life University where he graduated with honors. Shortly after graduation Dr. Jason founded his first practice in Cobb County. 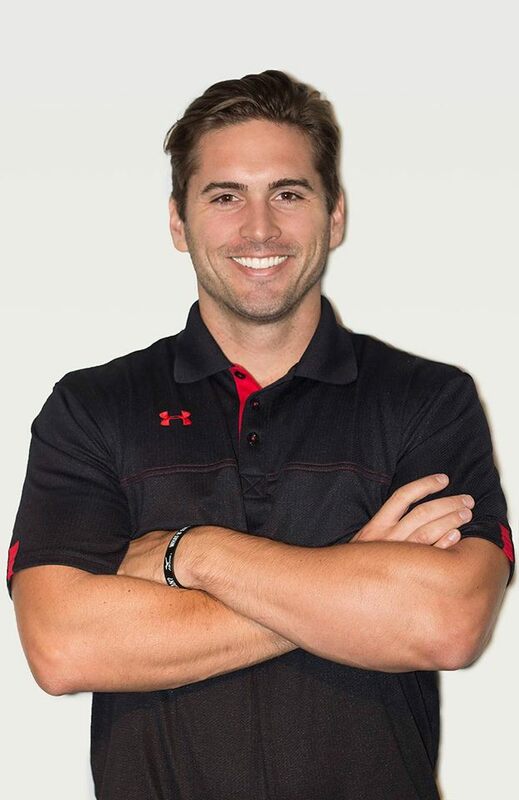 In 2016, Dr. Jason was chosen to be the Team Chiropractor for Atlanta Blaze MLL men’s professional lacrosse team. In 2017, he decided to take a position in an integrated medical facility to see how natural and allopathic healthcare providers can work together. 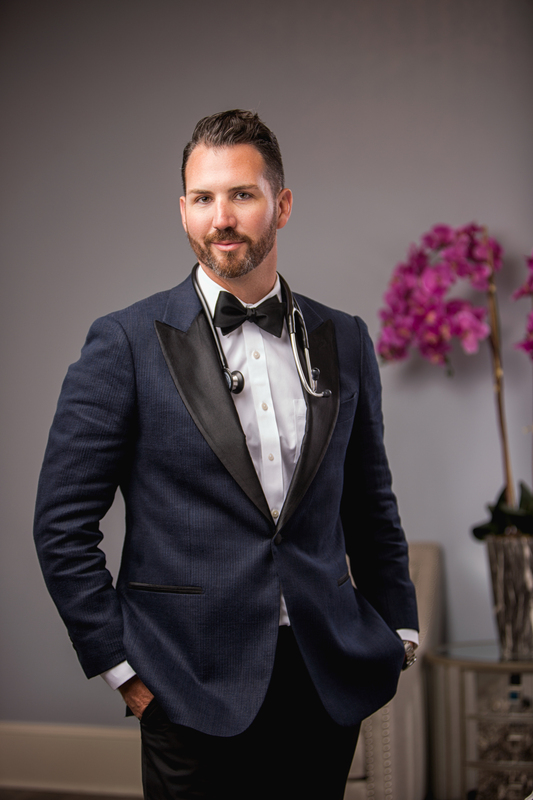 After falling in love with this model of care, Dr. Jason partnered up with Drs. Trowell to bring physical medicine and regenerative medicine to Governor’s Med Spa.